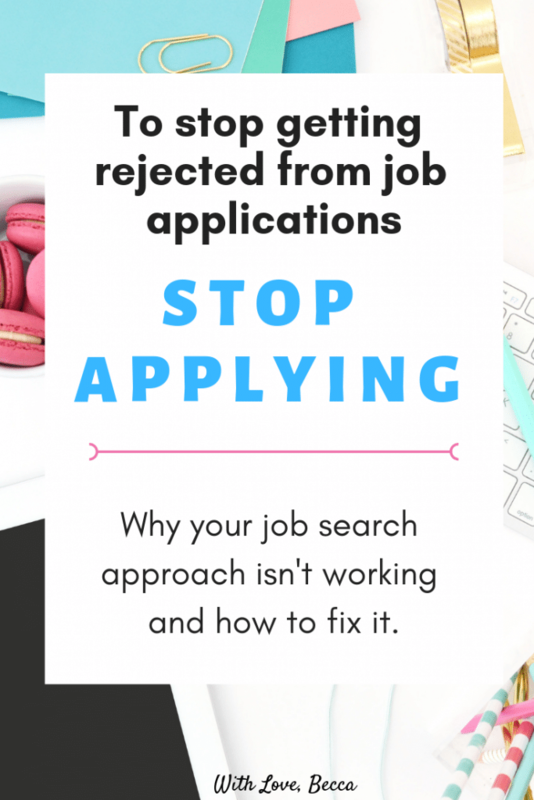 How to Stop Getting Rejected from Job Applications. Actively pursuing a career change but it’s not going anywhere? Applying like crazy, but not hearing back? 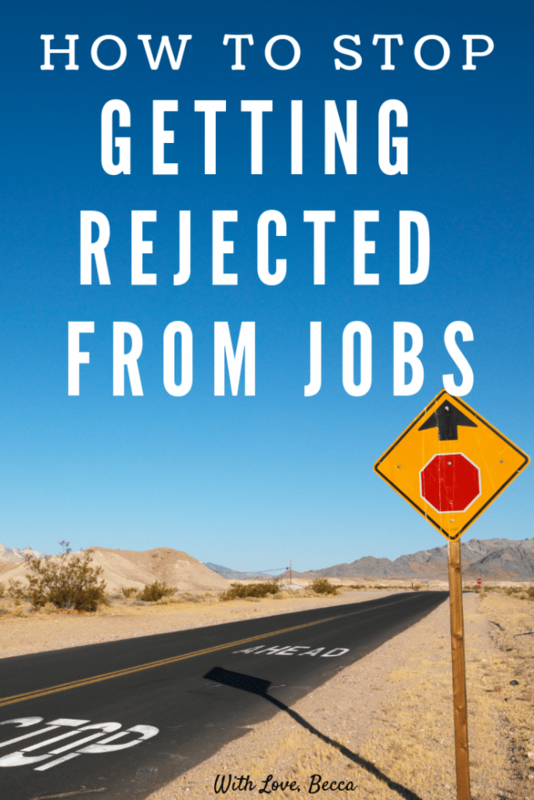 Want to stop getting rejected from jobs? Here’s what you should do. I’m quite serious actually. Cut it out, right now. To be clear, I’m not telling you to give up. That would make me a pretty terrible coach, perhaps a worse mom. I’m not big on “give up.” But I am big on focus, and that’s why you need to pump the job application brakes. I took an introduction to digital photography class recently to figure out how to more effectively use the fancy camera we bought before Jack was born. I’ve used it plenty, but only in auto mode. Everything else was crazy intimidating. During the class, our instructor told us that if we wanted to be better photographers then we had to stop taking crappy pictures. But here’s the deal, my new friend Walter was actually giving perfect advice. He meant that non professional photographers have a tendency to overshoot and it’s a waste of time. If you watch a professional work, they take their shots and move on because they know they got it. They understand their light, have adjusted their cameras appropriately and have chosen the right place to stand. Sure, when photographing people you can’t predict their every movement, but pros know how to set themselves up for success. Amateurs on the other hand take five million photos and only a handful are any good. That’s the beauty of the delete button in the digital world, but it’s also a downfall. Since the stakes are low (no film, plenty of storage), the amateur keeps hitting the shoot button as little Jimmy runs through the sprinkler without really thinking it through. Then they look back at the pictures and realize little Jimmy’s feet are cut off and those shadows are totally unphotoshoppable. I’ve done this plenty. My camera is full of indooor pictures with harsh florescent lighting and poor composition that will never see a photo album. So what I should really do is take a pause to understand what appature and shutter speed mean, step into the shade instead of direct sun, and focus my shots to take less of them. You know where I’m going with this right? 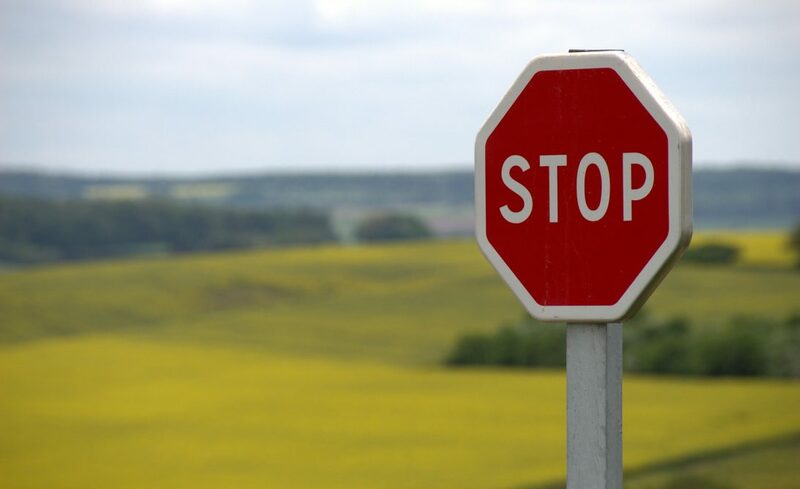 If you keep getting rejected from jobs, it may very well be that you are taking too many shots, and not enough good ones. There are millions of job postings out there. LinkedIn, Indeed, Glassdoor, your college job board, etc. If you take a scattershot approach and apply to everything with (insert your keyword here) in the title, you’re inevitably going to hear a lot of no. Or a lot of radio silence. But, if you do the work to set your focus, your chances of success increase. Setting your focus in the job search is a little different than working on your camera settings, but there’s still a pretty straightforward instruction manual. First, set your vision. Do you want any job in the tech industry, or do you thrive in product management specifically? Would you be willing to move anywhere, or is your family firmly settled in Boston? Do you want to manage people, work at an established firm, be part of a start up, travel, work from home? Answer all of these questions first before you put fingers to keyboards and start shooting off resumes. Then if, and when, you hear back from a job with a positive response, it will be from something you’re genuinely interested in pursuing. Need help with your vision? Check out the 100 Jobs Exercise. Then, make sure your resume is in good shape. When’s the last time you updated it? I’m not talking about adding your most recent job and calling it a day. I mean took a hard look at what is still relevant, modernized your format, or tailored it for a specific role. Tell the truth – of course – but review the qualifications and make sure your matching qualifications are highlighted. 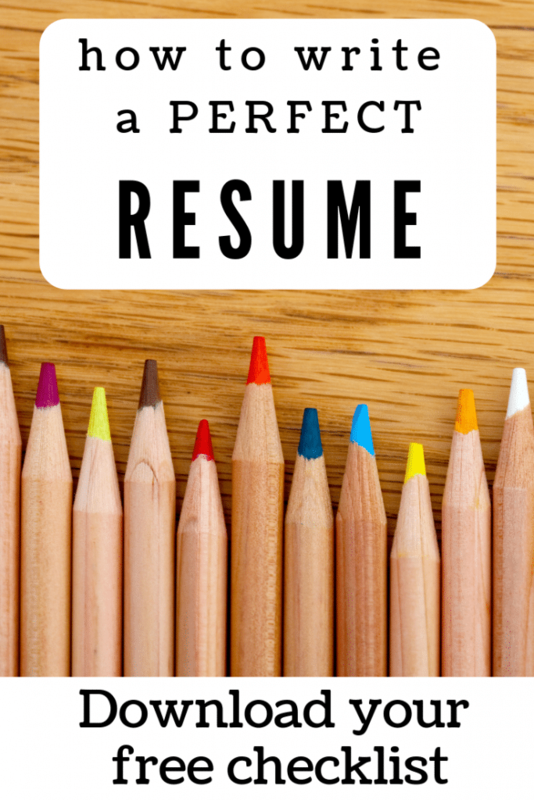 Need more resume help? Enter your email below and I’ll send you a resume checklist. Also, you can email me if you want to discuss a 1:1 review. Lastly, let’s make sure you are using your time wisely. Sending out resumes is not the most effective way to get a job. It’s one way, but having conversations is way more productive. Take the time you were spending sending resumes and use that to search LinkedIn for connections at companies you are interested in. 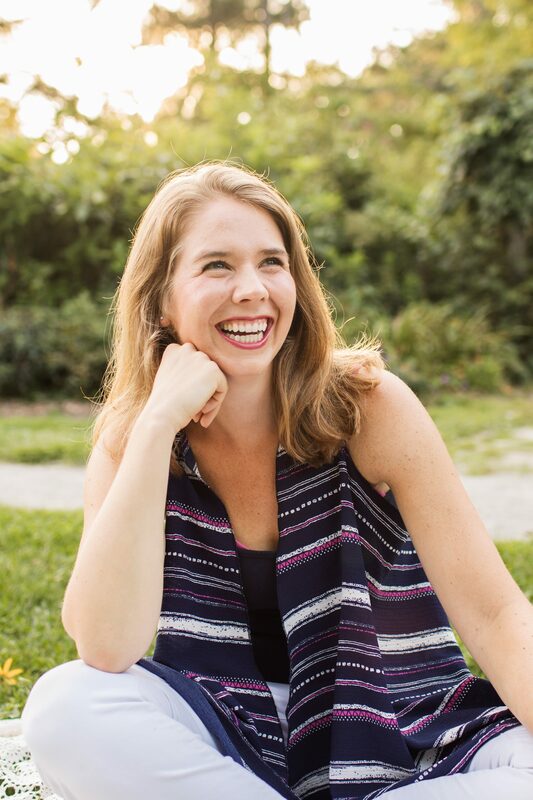 Send three emails instead of three resumes asking for 20 minutes of someone’s time for an informational conversation about their company, career progression, or industry. People love talking about themselves, let them! Then make sure you express your interest in potential roles with the company and ask if there is anyone else you should speak with. I landed my current role through two informational conversations, had well before I submitted a resume. Same with writing. I was sending scattershot submissions and hearing lots of no, until I paused to find out what works for various sites and connected with other writers I admire. The job search is super hard. It’s easy to get frustrated, to feel down on yourself, or want to throw in the towel. But the very fact that you’re reading this means you are willing to put the work in to make this happen. Just make sure you’re doing the RIGHT work. I’m realizing that I made zero jokes in this article, which isn’t my style. So how bout a knock knock from my 3 year’s joke book to close us out? I should have just skipped the joke. I know that now. Been there, done that, got the t-shirt? Let’s get cracking on that cover letter! So much valuable advice here, Becca. Thank you! I just downloaded the resume checklist. I can’t wait to look it over!